Goodreads Summary:Sixteen-year-old Macy Queen is looking forward to a long, boring summer. Her boyfriend is going away. She’s stuck with a dull-as-dishwater job at the library. And she’ll spend all of her free time studying for the SATs or grieving silently with her mother over her father’s recent unexpected death. But everything changes when Macy is corralled into helping out at one of her mother’s open house events, and she meets the chaotic Wish Catering crew. Before long, Macy joins the Wish team. She loves everything about, the work and the people. But the best thing about Wish is Wes—artistic, insightful, and understanding Wes—who gets Macy to look at life in a whole new way, and really start living it. 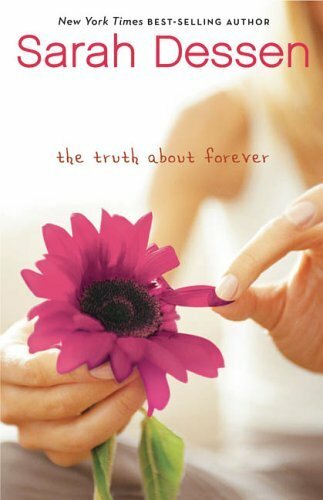 My Review:I didn’t get around to reading Sarah Dessen until this year, and this was the first of hers that I read. I don’t know why I waited so long, but finally picking up a stack of her books was a great present for myself :)I fell so in love with this…the story and the characters. I love when authors can communicate pain and emotion so truthfully through their characters. None of the emotions that Wes and Macy discussed and expressed were forced, everything was so natural. I loved reading about the way they interacted when they first met, and the few chance encounters and circumstances that forced them to get to know each other. After that they developed such a great friendship, watching Macy “wake up” and begin to heal was a huge reading high. I also loved all the descriptions and stories involving Macy’s dad. Despite the fact he was never physically in the story, he was very much a three-dimensional character with a presence. I felt the absence of him just as much as the presence of Macy’s mom and sister. Reading about the catering jobs was hilarious. I found myself wanting to be there with them, even if it meant having to clean red wine off the carpet. You could tell that even through all the spills and random accidents they were happy and having a blast. I definitely recommend picking this up. 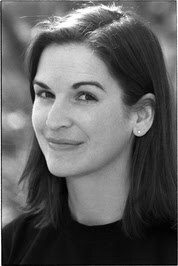 Sarah Dessen is such a fantastic author with her awesome characters, and in my opinion this is her best. I’m normally not too much of a re-reader since Mount TBR is so out of control, but I’ve already re-read this twice since I first picked it up earlier this year. It has definitely found a place in my go-to comfort reads pile.